When I don’t have enough other things to worry about, my mind sometimes wanders to the dinosaurs. No, I’m not worried about a Jurassic Park scenario. (That was a great movie, though, wasn’t it?). Rather, I’m worried about the type of cataclysmic event that caused the demise of the dinosaurs. Could a similar disaster in the future bring an end to our current enterprise on Earth? A direct hit from a mile-wide asteroid would not be a pretty sight. It could be a ruinous day for our Anthropocene Epoch. Actually, even a grazing strike from a large meteor would cause damage and panic on a wide scale. 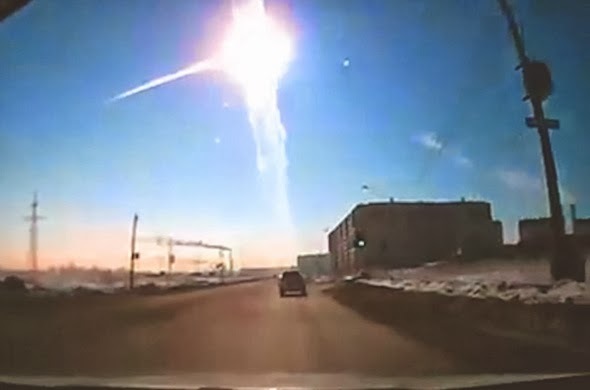 Remember the meteor that exploded over Chelyabinsk, Russia, in 2013? Fifteen hundred people were injured by shattering glass and collapsing structures. I know enough about astronomy and our solar system to realize that it is only a matter of time before one of those big space rocks will smash into our lovely planet again. It happened before, numerous times. It will happen again. Despite this depressing certainty, I’m not a fatalist when it comes to asteroid catastrophes. There may be occasions when passive observation is appropriate. But, this is not one of those times. We need action to protect our planet from the doomsday rock with our number on it. We have the knowledge and the capacity to defend our Earth. The time for action is now! as captured on a dash cam. That’s not just my opinion. The UN General Assembly agrees. In December, 2013 — partly as a result of the meteor strike in Chelyabinsk — the members of the United Nations adopted a resolution expressing serious concern “about the devastating impact of disasters.” (See Resolution A/RES/68/75 on International Cooperation in the Peaceful Uses of Outer Space). The General Assembly’s Resolution went beyond a simple statement of concern. The UN has actually had a committee laboring on this problem for a number of years. So, as part of its Resolution, the General Assembly endorsed an action plan that was proposed by a working group of the UN Committee on the Peaceful Uses of Outer Space. It is a prosaic statement, not like other well-known UN documents which have inspired action on human rights, peacebuilding, disease eradication, and other issues of global concern. In this case, the action of the General Assembly will be remembered for its substance — not for any flowery language. Here’s a short description of the UN’s 3-point plan for saving our planet from near-Earth objects. (1) Identify and Validate the Threat. 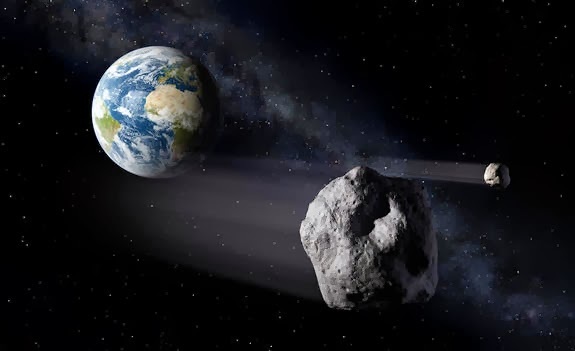 The UN will establish an International Asteroid Warning Network (IAWN), which will be a clearing house for receiving reports on observations of Near Earth Objects (NEO’s) — basically, any asteroids or comets which could pose a potential threat to Earth. United Nations Working Group on Near Earth Objects. (3) Promote Continuing International Cooperation in Space. With regard to international cooperation in space, it should be noted that this is not a new topic for the United Nations. The UN has been promoting and supporting space exploration for more than 50 years — dating back to the creation of the UN Committee on the Peaceful Uses of Outer Space in 1959.
is the director of the UN Office of Outer Space Affairs. • The Agreement Governing the Activities of States on the Moon and Other Celestial Bodies (the “Moon Agreement”), which entered into force in 1984. 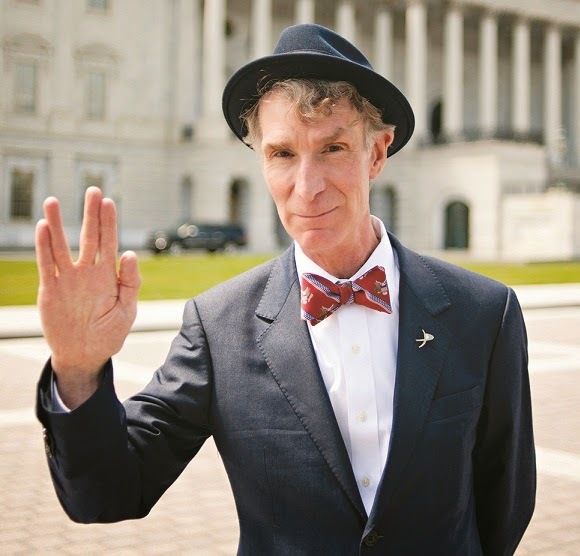 It makes sense for the United Nations to take a leadership role in protecting our planet from the hazards of space. It is the largest international organization in the world; its membership encompasses nearly every nation, including all spacefaring nations. With its long history of leadership on issues of global security and cooperation in space, the UN has the credibility, respect, and organizational legitimacy needed to mobilize the resources of nations, international space agencies, scientific organizations, etc. When we find a big space rock hurtling toward us, we want our best people to be focused on forming a life-saving solution — not squabbling about who is in charge. Knowing all of this, I’m able to sleep a little better at night — but only a little. I still worry about the unknown hazards lurking in the dark corners of our solar system. There are thousands of asteroids that haven’t yet been catalogued, and more are being discovered every day. Our capacity for detecting these objects is improving, but not fast enough for worry-warts like me. We’re really just in the infancy of our efforts to protect our planet from NEO hazards. (I’m especially concerned about the big one that didn’t show up when we thought it would). I support the UN’s efforts on the coordination of outer space activities. I just wish they had more resources and could move a little faster. In honour of the fiftieth anniversary of human space flight, and to pay tribute to the extraordinary journey of the men and women who have flown into space, the United Nations Office for Outer Space Affairs (UNOOSA) invited past and present space explorers to provide a message that might inspire future generations. Oklahoma puts more women in prison, per capita, than any country on Earth. Check-in is at 11:30am. The program kicks off at 12 Noon. Our keynote speaker will be Lou Kohlman, Chair of the Oklahoma Commission on the Status of Women. As a leader of OCSW, Ms. Kohlman is well-versed in the myriad complex of issues facing Oklahoma women today — including issues of aging, women’s physical and mental health, as well as our state’s high rate of female incarceration. There are about 2,600 women locked up in Oklahoma’s prisons — a rate of incarceration that is about twice the national average. Why does Oklahoma lock up so many women? “Many factors contribute to the high female incarceration rate. However, the root cause is one that makes for uncomfortable conversation: the fact that women and girls in our state are not treated well. “Oklahoma has an inordinate number of girls who suffer abuse and other forms of trauma in childhood and then carry the symptoms of trauma into adulthood. “The fact that our state ranks among the top five in the U.S. for the rate of child abuse deaths is an obvious indicator of the high rate of child abuse that exists. Beyond the social factors — abuse, poverty, unwed and teen mothers, drug use, etc. — that influence our crime rates, some observers think Oklahoma’s laws are too harsh. Dr. Sharp thinks Oklahoma has too many “mean” laws and too many politicians who are unconcerned with the rehabilitation of criminal offenders. (Read a news story about her remarks at a recent forum at the United Way of Central Oklahoma). Women are more likely to be in prison for drug and property offenses, their report notes, while men are more likely to be in prison for violent offenses. Including women who are on probation and parole, the Sentencing Project estimates that more than a million women across the United States are under the supervision of the criminal justice system. As noted, the problem of female incarceration is not the only challenge faced by Oklahoma women. But, it is an indicator that helps us to have an informed understanding of the status of Oklahoma women today. We are fortunate that we will have the perspective of Lou Kohlman to put this condition, as well as others, into a meaningful context for us. Join us on March 8th — reserve your seat today! From the beginning, the UN has been committed to the advancement of the rights of women. It is true now. It was true when the UN Charter was signed in San Francisco in 1945. In 1946, the United Nations Commission on the Status of Women (CSW) was established as a way to promote, report on, and monitor issues relating to the political, economic, civil, social and educational rights of women. 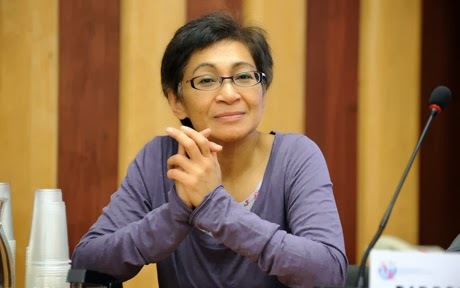 One of the first tasks of the CSW was to assist in the drafting of the Universal Declaration of Human Rights, which ultimately emerged from the UN Commission on Human Rights (chaired by Eleanor Roosevelt). Commission members inserted gender-sensitive language — arguing against references to “men” as a synonym for humanity and phrases like “men are brothers.” They succeeded in introducing new, inclusive language into the document. 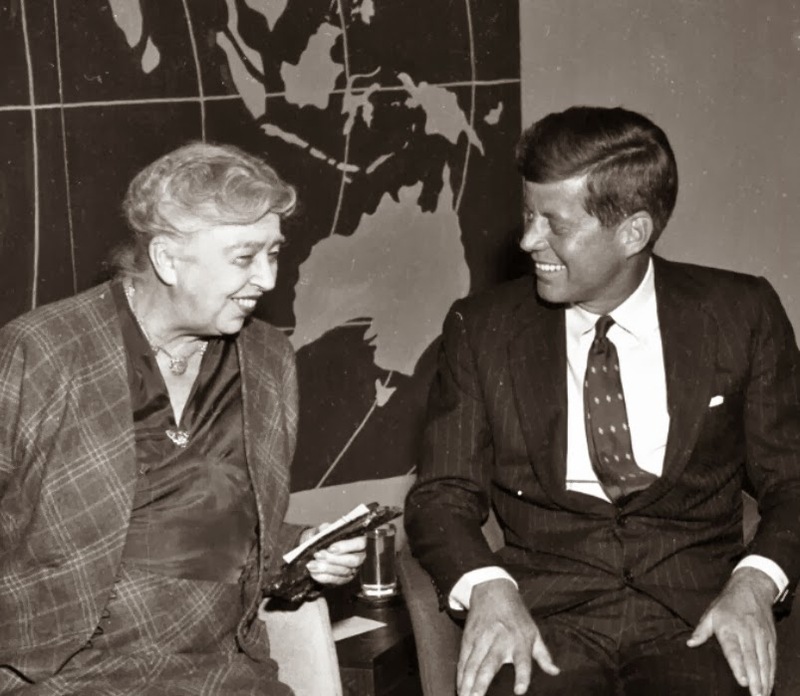 To chair this commission, Kennedy appointed Eleanor Roosevelt. She led the commission until her death in 1962. By 1962, the creation of this national commission encouraged states and cities to begin studying women’s status in their own local areas. All fifty states had commissions in operation by 1967. In Oklahoma, the first Commission on the Status of Women was established by Governor Henry Bellmon in 1965. Members of the commission advised the Governor on the problem of gender bias and key quality of life issues facing Oklahoma women and their families. Succeeding governors followed Mr. Bellmon’s example. Today, the Oklahoma CSW organizes a biennial Women’s Summit. It coordinates the activities of the Oklahoma Women’s Hall of Fame. Additionally, it advises state agencies and employees on issues relating to gender bias; it monitors proposed legislation; and it acts as a resource and a clearinghouse for research on issues related to women and gender bias. On Saturday, March 8th, the members of the Oklahoma City chapter of the United Nations Association will be proud to welcome Lou Kohlman as the keynote speaker at our International Women’s Day luncheon. Ms. Kohlman serves as the current Chair of the Oklahoma Commission on the Status of Women. She is active in the Oklahoma Academy, the Harvard Club, and the Oklahoma County League of Women Voters. … The cost is $20, with proceeds going to support the good work of the United Nations Association. There is limited space available, and advance registration is required — so reserve your seat today. 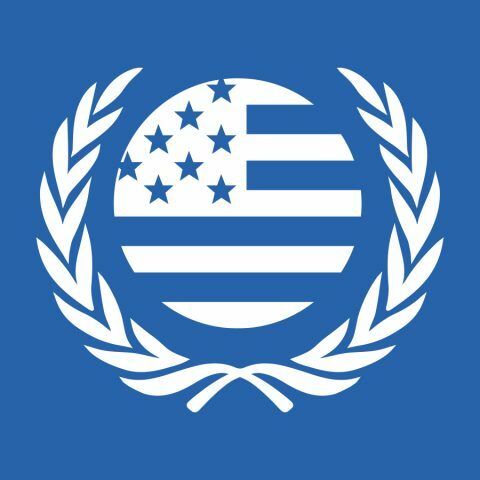 You won’t find a nicer group of folks than the members and friends of the United Nations Association of the USA! 1. Eleanor Roosevelt — First Lady and first chairwoman of the UN Commission on Human Rights, Mrs. Roosevelt also served on the board of directors of the American Association for the United Nations (later to become UNA-USA, the United Nations Association of the USA). 2. The Pioneer Woman — A monument honoring the pioneer women of America, this statue is located in Ponca City. When it was dedicated in 1930, an estimated 40,000 people came to hear Will Rogers pay tribute to Oklahoma’s pioneering women. 3. Te Ata Fisher — An actress and member of the Chickasaw Nation, Te Ata (aka, Mary Frances Thompson) was known for telling Native American stories. In the 1930’s, she performed as a representative of Native Americans at state dinners before President Franklin Roosevelt. She was inducted into the Oklahoma Hall of Fame in 1957, and named Oklahoma’s first State Treasure in 1987. 4. Malala Yousafzai — The world’s best known activist for the rights of women and girls. 5. Lou Kohlman — Chair of the Oklahoma Commission on the Status of Women, she will be the keynote speaker at our Women’s Day Luncheon on Saturday, March 8th. 6. Jeane Kirkpatrick — U.S. Ambassador to the United Nations (1981 – 1985), she is the namesake of the advocacy committee of our Oklahoma City chapter of the United Nations Association. 7. Hannah Diggs Atkins — Inducted into the Oklahoma Women’s Hall of Fame in 1982, Hannah Atkins served the people of Oklahoma as a State Representative, Secretary of State, and Cabinet Secretary for Social Services. From 1979 to 1982, Ms. Atkins was also a U.S. delegate to UNESCO — the United Nations Educational, Scientific, and Cultural Organization. After her retirement from public life, Ms. Atkins served in a voluntary capacity as the elected president of our Oklahoma City chapter of UNA-USA.